Good morning! 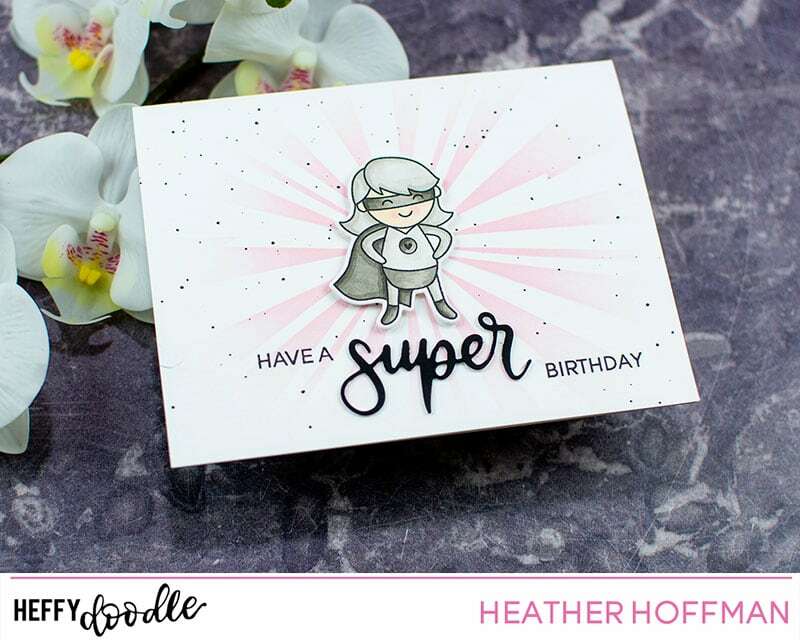 This is Heather, and today I’m sharing a fun clean and simple birthday card featuring some SUPER fun items from the newest release! I started off by creating a soft stenciled background using Zapp Attack Stencil and Spun Sugar Distress Oxide Ink. I also added some black splatters with some Pinkfresh Licorice Liquid Watercolors. 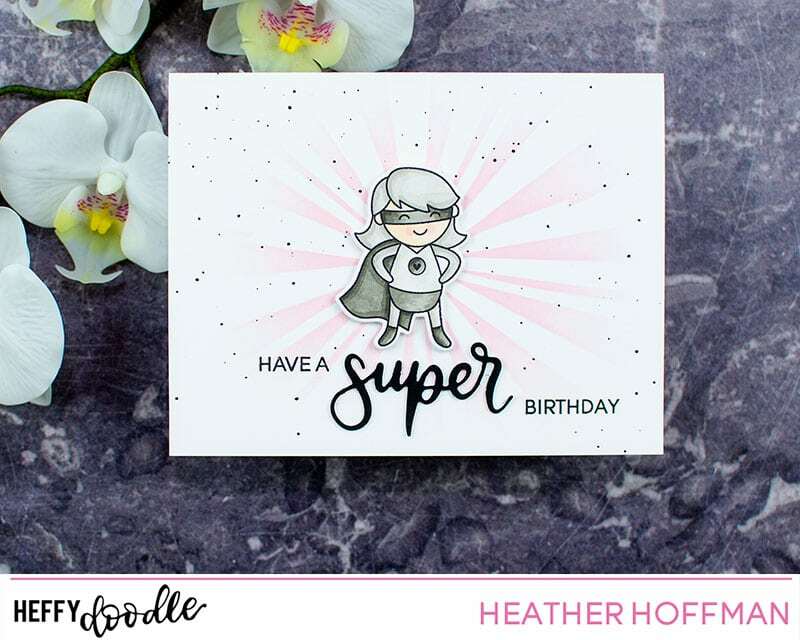 While I set that aside to dry, I stamped the cute girl from Suderdudes and colored in a monochromatic gray color scheme with Copics, then die cut with the coordinating Superdudes Dies. 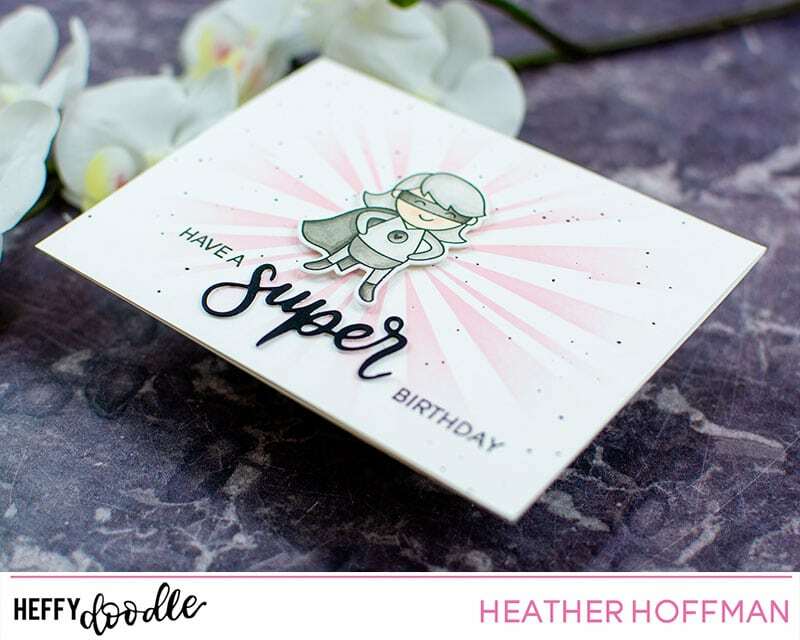 I attached her to the background using foam adhesive, then built the sentiment with a combination of Super Heffy Cuts and the rest of the words stamped from Superdudes Stamp set. This would also be easy to switch out and recreate in boy colors and use one of the boy images! And who doesn’t need birthday cards on hand all the time, right? Thanks so much for stopping by today! Have a wonderful week!! !